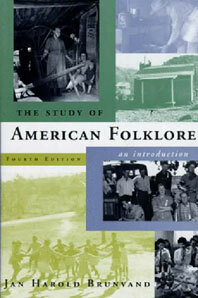 The Study of American Folklore - Description | W. W. Norton & Company Ltd. Distinguished folklorist Jan Harold Brunvand, famous for his collections of 'urban legends,' offers readers a comprehensive and engaging introduction to the field of folklore. New to the fourth edition are 67 "Focus" boxes that provide in-depth examples of folk genres, research methods, and theoretical approaches, and over 70 photographs that illustrate material and performative folk traditions.